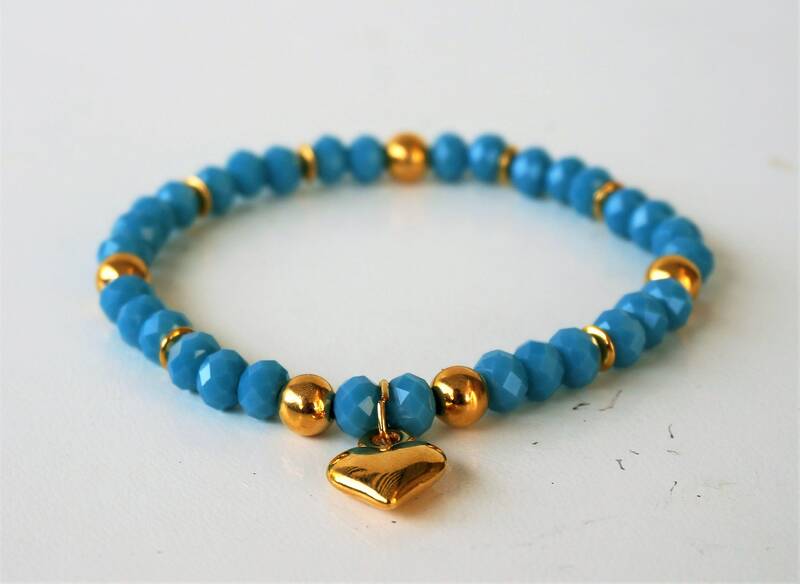 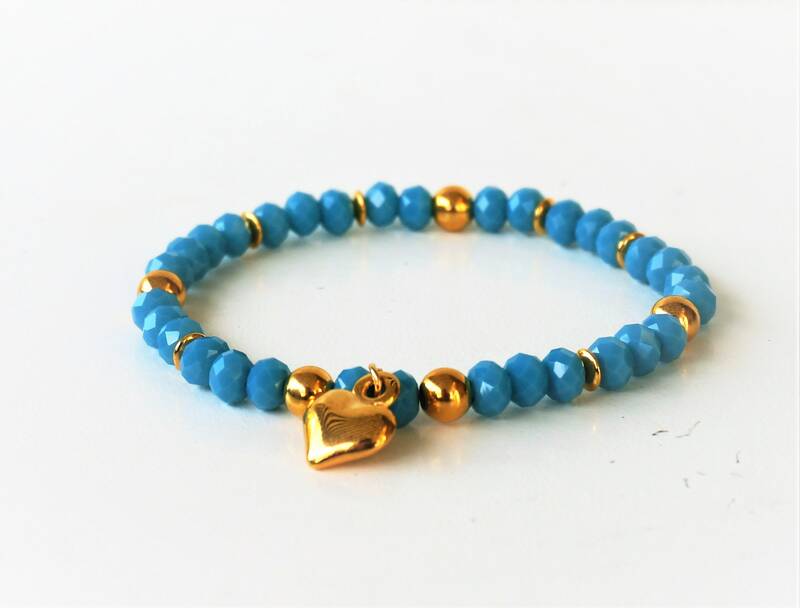 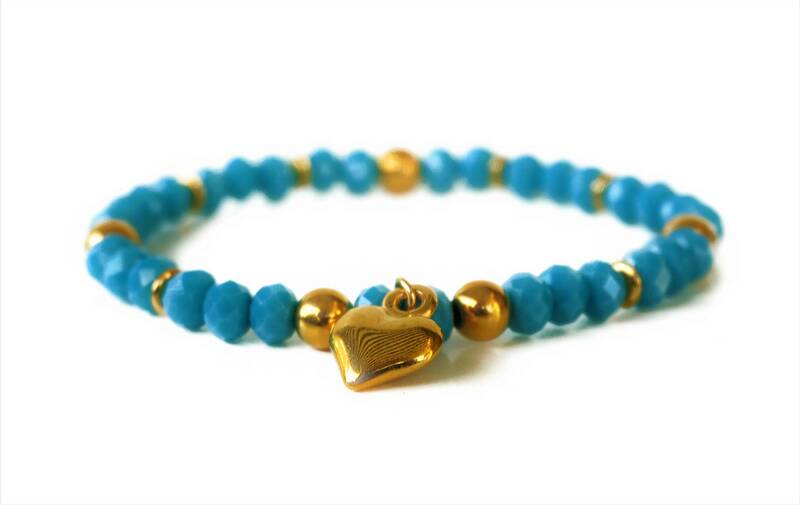 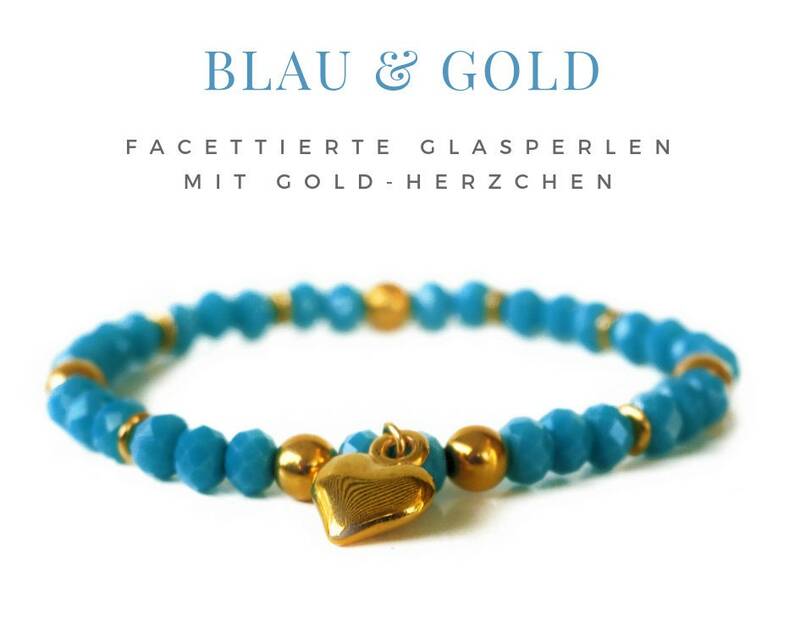 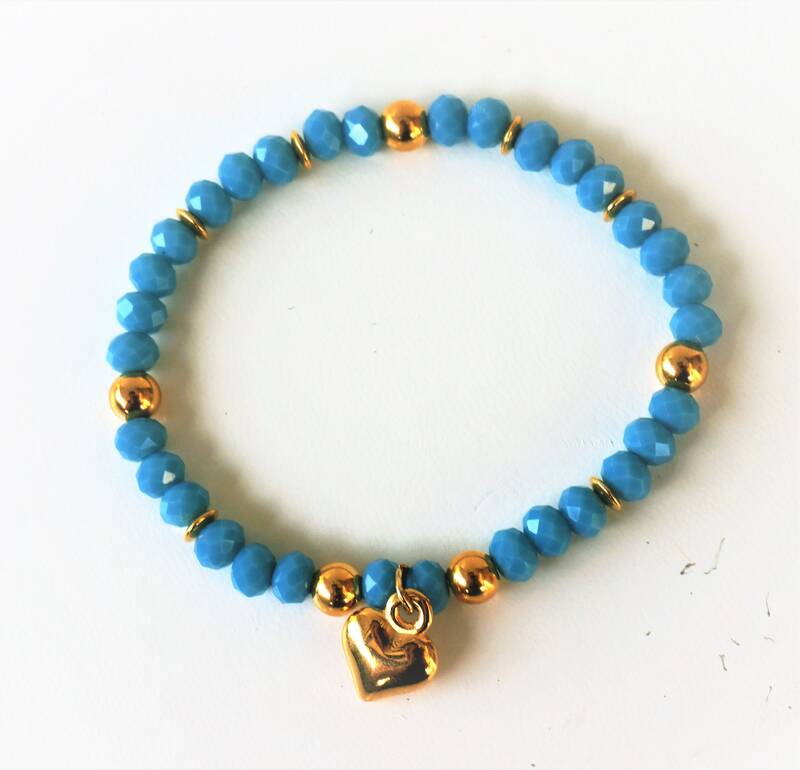 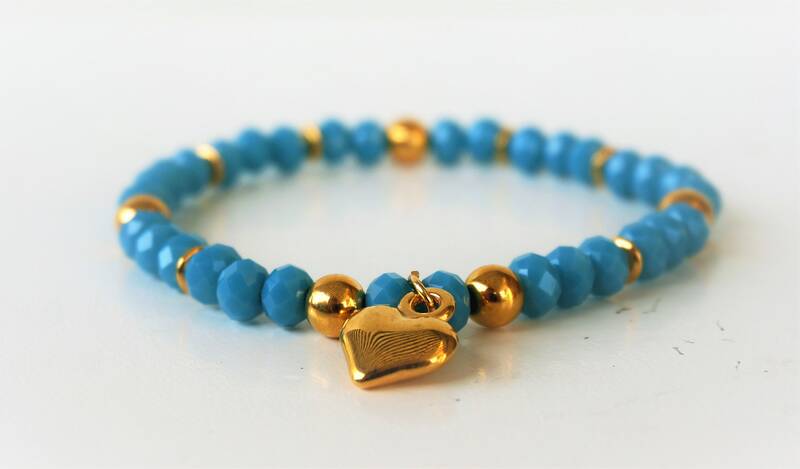 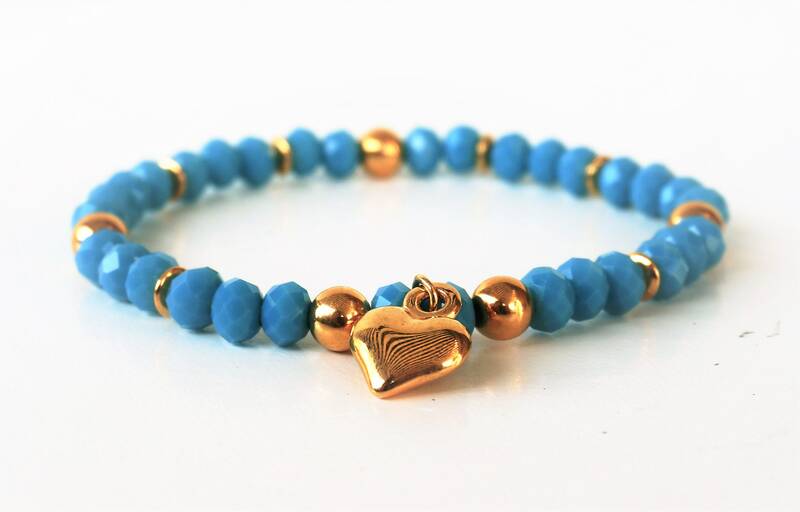 Blue Beaded bracelet with golden heart pendant. 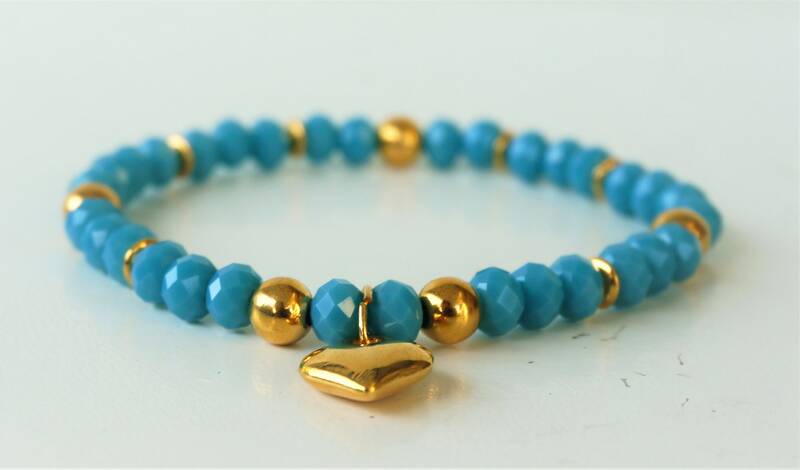 Gold-plated spacers and metal beads provide variety between the blue faceted glass beads. 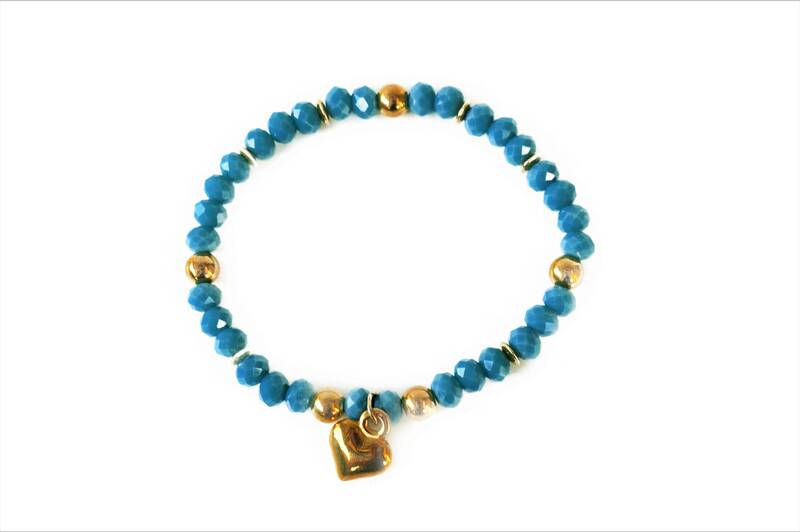 The elastic 17 cm long bracelet is shipped as a gift wrapped in a organza bag.